The material that you use to build your deck is going to have a major impact on its appearance, durability, and cost. Luckily, there are now more materials than ever to choose from, and every product has its own pros and cons. Here’s a quick look at some of the most common decking materials and how you can find the perfect option for your own home. Pressure-treated lumber is one of the most popular choices for decks because it is fairly inexpensive and extremely easy to work with. Most pressure-treated lumber is made from southern yellow pine, and that makes them extremely resistant to rot and fungus. The biggest drawback of pressure-treated lumber is that it isn’t very durable. Longer pieces tend to warp and crack over the years, and the wood requires constant maintenance. Composites such as Trex decking have quickly become a favorite among homeowners as well as deck contractors. This type of material is designed to be as durable as possible, and it is often indistinguishable from real wood. Another benefit of composite materials is that they are very eco-friendly. 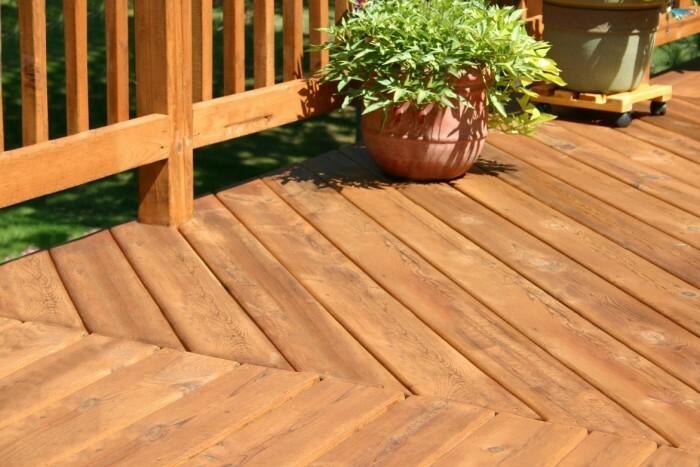 Options like Trex decking generally come from a blend of recycled wood and plastic film. These composites can also last for 15 years or longer with the proper maintenance. Cedar, redwood, and other traditional softwoods might be tempting, but they have fallen out of fashion over the last few years for a few different reasons. They are resistant to bugs and rot, but many companies only sell the outer sapwood. The inner heartwood becomes quite pricey, and it still requires quite a bit of maintenance. Those who want to build a deck exclusively out of heartwood could up spending quite a bit of money just for the materials. Choosing the wrong material could end up decreasing the value of your home and costing you quite a bit of money in the long run. There is no single type of material that is going to be ideal in every situation, and that is why homeowners need to work with experienced deck contractors. With their help, you can create a stunning deck that can bring out the beauty of your home.